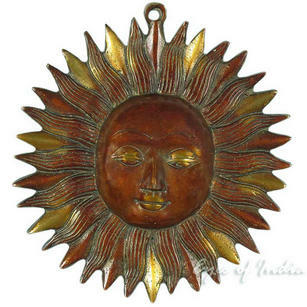 | Sun Sculpture Metal Brass Boho Bohemian Wall Art Hanging - 6"
I purchased the gold sun a few years ago. 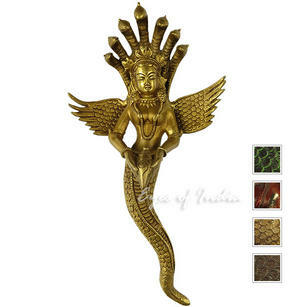 It is somewhat small but large enough to make a statement. It has some weight to it and is beautiful. Today it still looks like new. So very happy with this product. Will buy it again in other colors.